When ending a marriage in Ohio, you can choose between dissolution and divorce. If you and your spouse agree on all marital issues, you can file for a dissolution. Although dissolutions move easily through the court system, they may be difficult for inmates because the process requires communication with their spouses, often multiple times. If you and your spouse cannot agree, you can file for divorce instead. Divorce is a lengthy, more costly process, and often difficult for inmates as it involves more paperwork and multiple court appearances. Ohio prisons house law libraries which should have all the required forms on hand. Law library staff and inmates working as law library clerks can help guide you through the process. If you have Internet access, you can download the proper forms from the website of the county court. If you are filing for a dissolution, both you and your spouse must fill out the proper forms. If you file for a divorce, you will need to draft a divorce complaint stating your reason for the divorce. 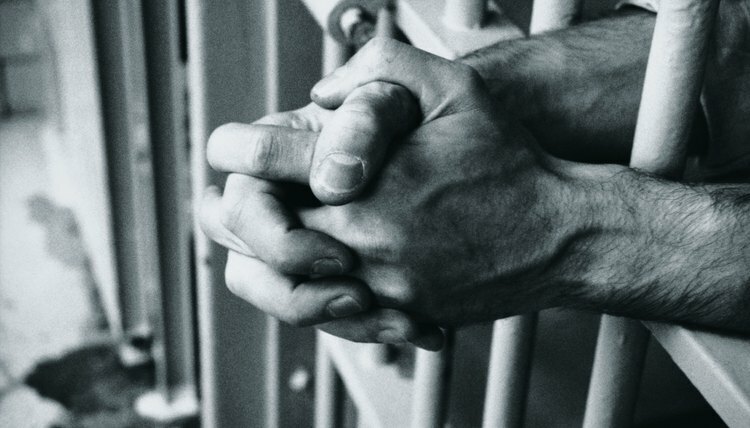 Due to the limitations of incarceration, you will need someone to file the paperwork on your behalf. Talk to your prison’s law library staff about options for having a third party do this for you. Ohio law requires that a person filing for divorce in the state has lived in Ohio for at least six months prior to filing, and has lived in the county where the divorce is being filed for at least three months before filing for divorce. After three months of incarceration, you can file for divorce in the county where you are incarcerated. Once the initial divorce papers are filed with the court, your spouse must be served with notice of the proceeding. Ohio inmates do not need to personally arrange for divorce papers to be served because the county clerk of the court where the papers were filed will handle service by mailing a copy of the divorce complaint to the inmate's spouse. Once served, your spouse must answer your complaint, respond to your allegations and may even raise defenses. Your spouse may also file a counterclaim. If you filed for a dissolution, your final hearing will be scheduled between 30 and 90 days from when you filed. In order for a dissolution to be granted, both parties must attend the hearing, so talk to your prison counsel about making arrangements to attend. If you filed for divorce, the court will set a series of pretrial conferences, additional hearings and a trial if an agreement cannot be reached. If you cannot attend your hearings in person, you may be allowed to attend via telephone. The process of filing for divorce in Tennessee begins when you file a divorce complaint, also known as a petition for divorce. Like all states, Tennessee provides for no-fault divorce, meaning that neither party has to show the other was at fault to obtain a divorce. If you and your spouse can agree on the terms of your divorce, you can file for an uncontested, no-fault divorce. Your local court can provide all the divorce forms you'll need. You can also use an online legal documentation service to prepare and file all of your divorce paperwork. Divorcing an incarcerated spouse in Alabama is not much different than divorcing any spouse. The process is virtually identical. The only time your spouse's incarceration may affect the proceedings is when you serve him with divorce papers, as there might be a specific way to do this and service might require additional steps. A spouse's incarceration will also likely affect the court's ruling on custody and visitation.